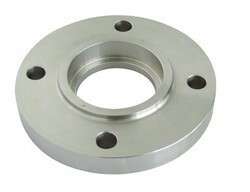 We are a leading Manufacturer of socket weld flanges from Coimbatore, India. This socket weld flanges is counter bored to accept the pipe before being fillet welded. The bore of the pipe and flange are both the same therefore giving good flow characteristics. We have with industrial experts who design these flanges with excellence. The flanges are offered at market leading rates. Looking for Socket Weld Flanges ?